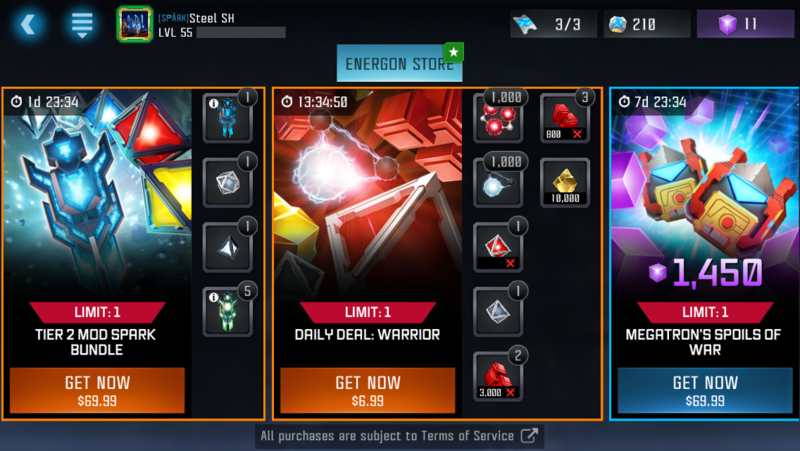 I don't recall hearing anything about implementing T2 mod sparks and you still cannot sell T1 mod sparks for T2 shards so can you please look into this? With 5 stars entering the fray, this needs to change so we can rank up mods to the next level. Pretty much anyone with a team of r5 4 stars can smash through a 35k+ rated based without a problem anyway, even with your shiny new expensive raid relic equipped as defense, lol. Is there anyone that can look into this? Seems like the forum mods have went silent again. 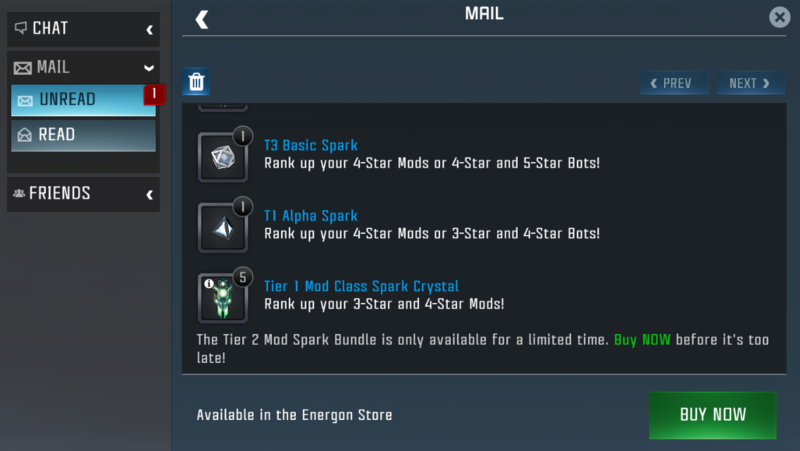 According to their release notes, T2 Mod sparks should not even be needed to rank them. @Kabam Kavs , @Kabam Miike or some other Kabam mod. Can you heeeeear us?! Just wondering. Any update on this? Are t2 mod sparks back in the game? I think that’s the requirement. If you go in with 4 or 5 star bots, it’s not part of the reward. I wonder who ranked up their 4 star mods before this change back. Mine are still are rank 1 because I use my 2 and 3 star mods because of higher sig level. Not that anything really helps with my base defense though. The mods have left the building.....apparently. No t2 mod spark in the newly unveiled base bounty arena. Not even for rank 1 - 30. What i can see here is the devs dont want you to rank beyond what you can now. They may feel its not the right time for ppl to max the 4* mods until they see the player base high enough to maybe take on that mod. Its a matter of make or breakin raids. But its safe to say from my experience raiding and getting raided that they need to either add this t2mod spark or change the recipe so that you can use the t1mod sparks. And yes i am aware that they did change the recipe before but that was to get to the next rank only. Hopefully kabam will at least give us some insight of the future of mod defence. We've just thrown up our Version 4.1 patch notes, and there's a line in there referring to Mods that I wanted to bring your attention to! "Updated Mod rankup recipes for 3-Star Rank 4 and 4-Stars, allowing for rank up with T1 Mod Sparks." What does this mean? 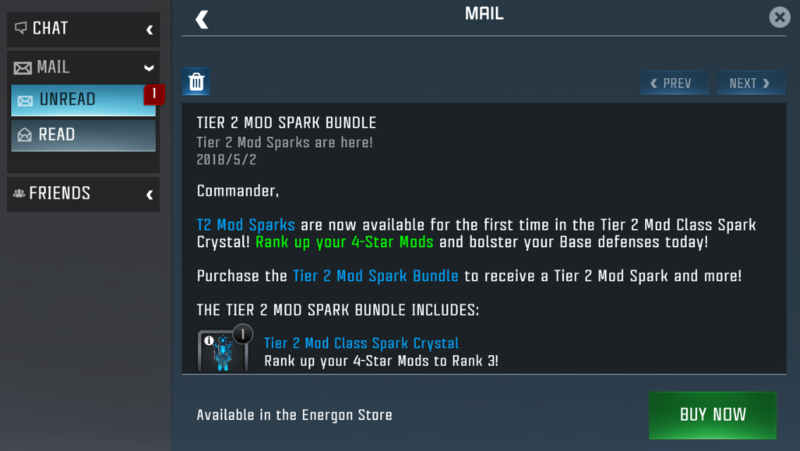 Well, we're changing up the Rank Up Materials necessary, and instead of introducing Tier 2 Mod Sparks, we're replacing them with Tier 1 Mod Sparks! This will be live in the game after the new version drops on November 22nd. This doesn’t make it sound like it was only for us to get to the next rank, but for all rank ups post Nov 22. I’m not ranking up any 4 star mods myself, but I’m curiously following this because of what was mentioned earlier and what’s currently happening. "instead of introducing Tier 2 Mod Sparks, we're replacing them with Tier 1 Mod Sparks!" Replacing T2 Mod Sparks with T1 Mod Sparks is exactly why I brought this up. 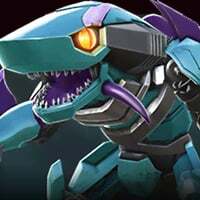 It doesn't say that they are removing T2 Mod Sparks just for Rank 2 of a 4* Mod. It says flat out that T2 Mod Sparks will be replaced by T1 Mod Sparks. To me this this means that T2 Mod Sparks shouldn't even be in the game anymore as they were replaced by T1 Mod Sparks per the release notes. I thinks it's a pretty straight forward comment but no mod has yet to acknowledge this. Bump...seems like a pretty yes/no answer to give. So what's the story? Seems more like they are not really monitoring the forum anymore. Look at the forum, maybe one chimes in once every couple days on something but they are not actively participating in the threads like they used to. 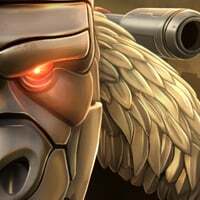 @Kabam Miike has completely disappeared or went on extended vacation. To max a 3* mod or level a 4* mod even once used to require t2 mod shards. Now 3* doesn't need t2 at all, you can rank 4* up one time before t2 needed. T2 was eliminated only for 3* mods. If you read what Kabam Miike wrote, that doesn’t sound like the case. Just wondering if anyone has come across a r3 4 star mod yet. I haven’t really been paying attention, but I haven’t the times I have. You can't R3 them since it requires T2 mod crystals. That's the whole point of this post. I thought this post was because the requirement for t2 mod sparks was brought back in the latest 6.0 update. I guess I assumed it was taken out (even for 4 star mods) in an earlier update because no one complained about it back then. Was it always there even after the update where Kabam said they were going to remove t2 mod sparks? Again, I’m not ranking up any 4 star mods at the moment and wasn’t back then, but I’m invested in this thread now because I want to see what Kabam says about it. 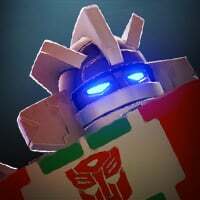 They removed the t2 mod spark requirement to r2 4* mods. 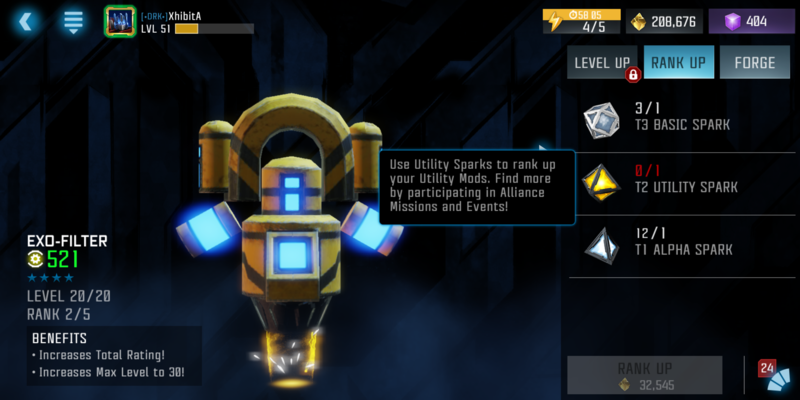 You have always needed t2 mod sparks to get to r3. Ahh, well, I guess that answers that. My 4 star mods are still at r1 so I didn’t know. I was just basing my thought on the original post of the thread. Right. 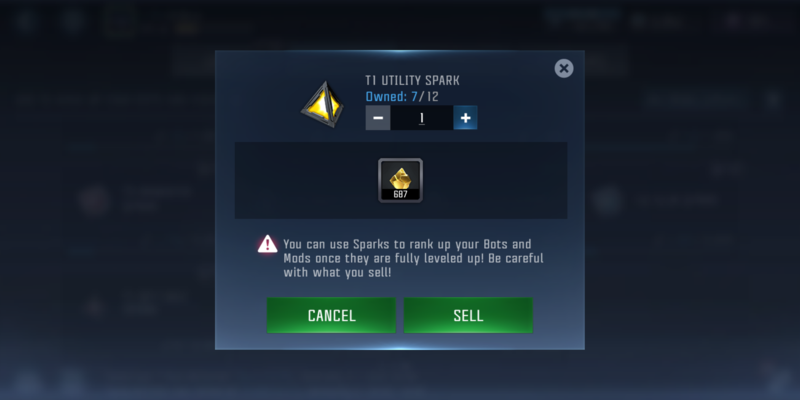 Rather than replacing T2 mod sparks with T1 mod sparks like they said they did, they basically unlocked the ability to R4 3* mods by removing just that one T2 mod sparks requirement. This in return applies to the 4* mods since an R2 4* mod is basically the same as an R4 3* mod.